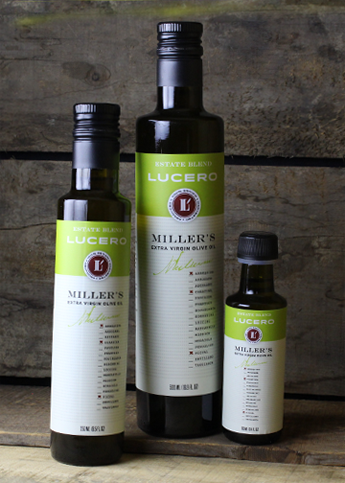 Miller's Estate Blend has a leafy green aroma with a hint of fresh coffee. This extra virgin olive oil is full-bodied and has a fruity flavor with tomato leaf, green grass, and toasted nuts. Rich and fruity with a touch of bitterness and slightly peppery finish. Suggested Uses: Best enjoyed with baking, salads, and bread dipping. Awards: Miller’s Blend received Silver at NYIOOC.